Huang Xiaoming (Xuan Zang) and Janine Chang (Jade) are confirmed to star in Here to Heart 温暖的弦, the drama adaption of An Ning’s classic romance novel Warm Chord. Wen Nuan (Janine Chang) is hired to be the assistant of her ex-boyfriend and now CEO Zhan Nanxian (Huang Xiaoming). Unbeknownst to her, Zhan Nanxian is planning to make her fall head over heels in love with him and then throw her away, as revenge against her sudden decision to break off their relationship a decade ago. Wen Nuan falls into the honey trap, and is pulled back into reality by his announcement of marriage to another woman. It sounds like the traditional old melo (and Huang Xiaoming is back to playing a rich and overbearing CEO again), though apparently the main couple does get a happy ending. 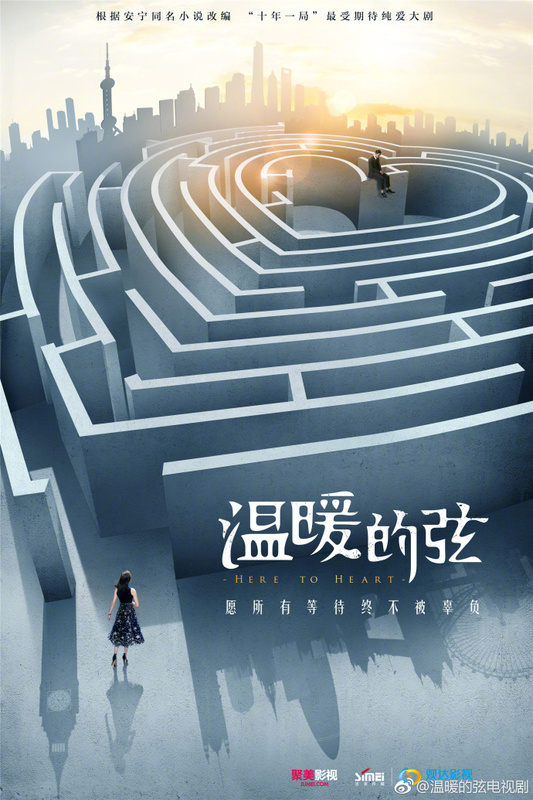 Here to Heart will start filming by the end of June. This entry was posted in Drama, Mainland China and tagged Here to Heart, Huang Xiaoming, Janine Chang by XDramasX. Bookmark the permalink. Is this completely different from the rumored 爱上你治愈我 with Huang Xiaoming and Janine Chang? I know the title is different, so it must be a different series. Do you have any info on 爱上你治愈我? Thanks! 爱上你治愈我 is about first loves who reunite when they both become doctors in the same hospital. Peng Guanying and Miao Miao (Feng Xiaogang’s Youth) have already started filming, and Li Yifeng is rumoured to join as male lead. As always, take the rumour with a grain of salt. The plots really look like Thai Lakorn name ” Forget Me Not” (อย่าลืมฉัน).Can’t wait to see this!! 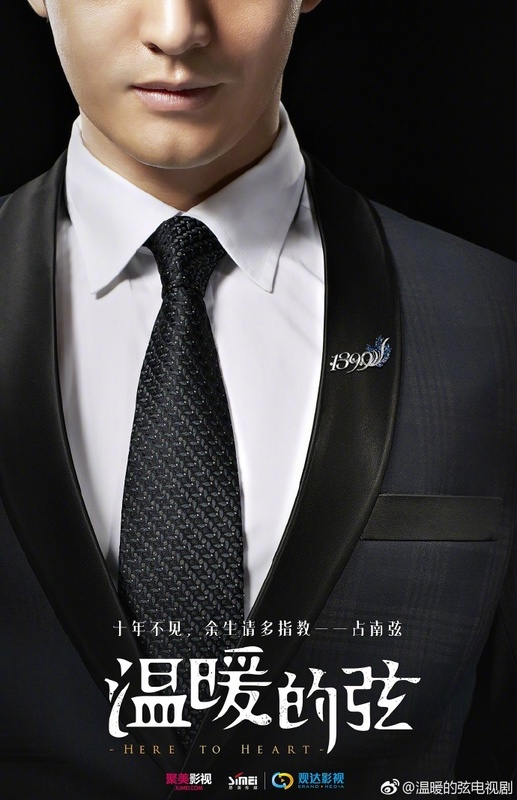 Eh, sounds corny and unoriginal, but the posters look cool and I am always up for Huang Xiaoming wearing suits. I wonder what the 1390 is supposed to stand for.